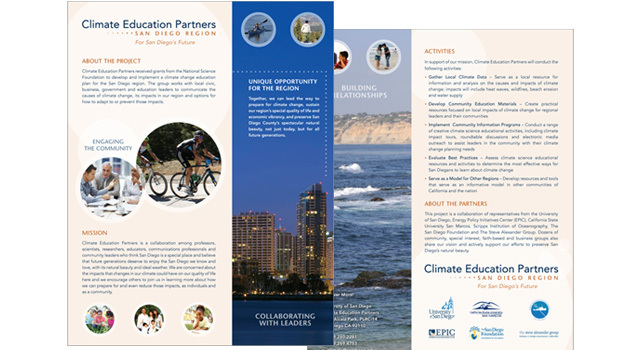 The University of San Diego, Climate Education Partners received a National Science Foundation grant to develop a climate change education plan for the San Diego region. The Partnership is working with local civic, business, government and education leaders to study local perspectives. The goal of the project is to understand how best to communicate the causes of climate change and its impacts, and how to adapt to, or prevent those impacts.